If you just bought an iPhone 6 Plus and you like to wear tight pants, beware. ...maybe. There are reports circulating online claiming that the new, larger iPhone bends when owners carried them in their pockets for long periods of time. Ironically, the reports came the same day that smartphone warranty provider SquareTrade called the iPhone 6 and iPhone 6 Plus the "most durable smartphones ever." It's impossible to say whether reports of bending iPhone 6 Pluses are a sign of a systemic design flaw, a defect in a limited number of devices or even a hoax. 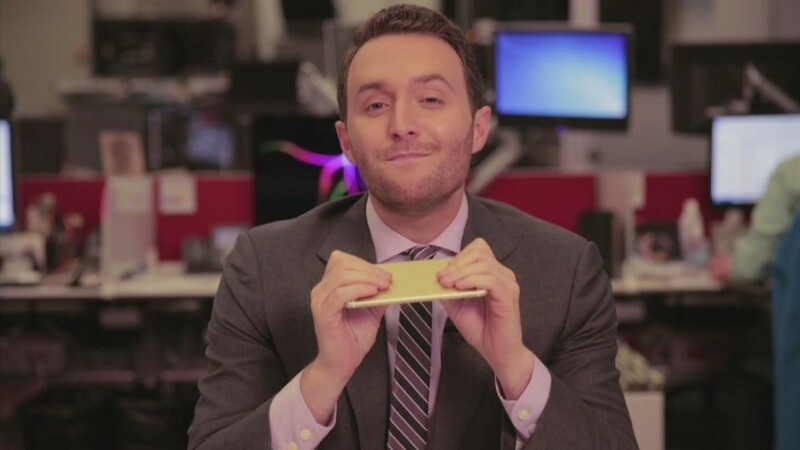 CNNMoney was not able to replicate the issue in several attempts to bend the iPhone 6 Plus. Apple (AAPL) did not immediately respond to a request for comment. One report Apple blog MacRumors shows photos of iPhone 6 Plus devices that appear slightly warped. The owner claimed the curvature appeared after carrying the device in the front pocket of his pants for several hours. Other reports have been posted to Twitter (TWTR) under the hashtag #BendGate -- although many are clearly Photoshopped images. YouTube video posted by Unbox Therapy shows a man appearing to bend the iPhone 6 Plus using his hands to apply pressure to a point near the buttons on the side of the device. Lewis Hilsenteger, the Internet personality who posted the video, insisted that bending the device was just a matter of strength. "Grab it in the middle with the glass facing out and give it everything you have," he told CNNMoney in an email. "It'll bend." On Twitter, some iPhone fans suggested that the jumbo smartphone is just not compatible with skinny jeans. There's also a camp that argues that if you own a $750 smartphone, you shouldn't sit on it. 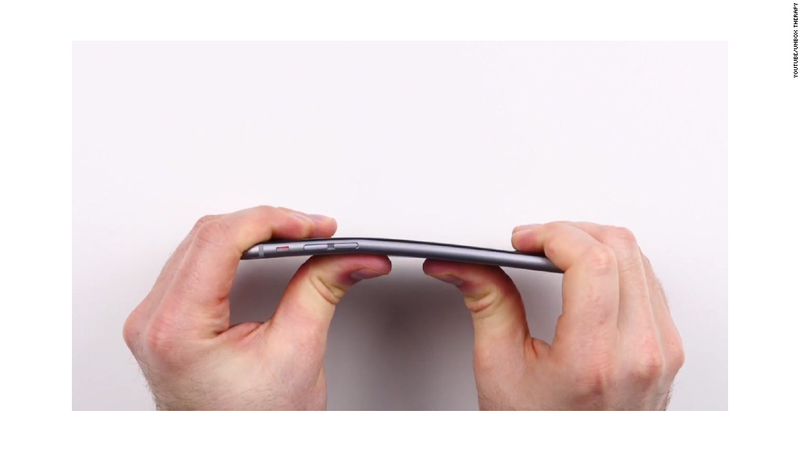 Last year, there were some reports that the iPhone 5S could bend. So this isn't an entirely new issue for Apple -- if the reports are accurate. The iPhone 6 Plus is significantly larger and thinner than the traditional iPhone. It's also made of aluminum, which is a naturally flexible material.